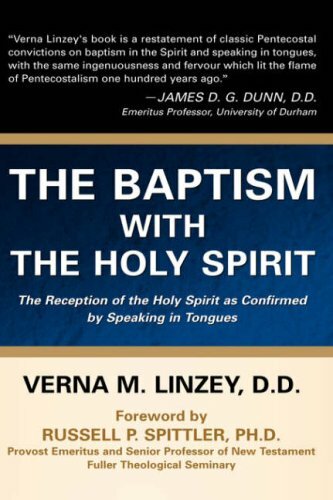 Verna M. Linzey, The Baptism With the Holy Spirit: The Reception of the Holy Spirit as Confirmed by Speaking in Tongues (Longwood, FL: Xulon Press), 180 pages, paperback. Verna Linzey’s new book, according to scholar James D. G. Dunn, is a “restatement of classic Pentecostal convictions on baptism in the Spirit and speaking in tongues.” Russell P. Spittler calls this book “a new handbook for those interested in the Pentecostal experience.” Dunn, Spittler, and nearly two dozen other international scholars commend it to the Christian church worldwide. 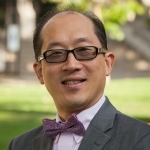 Recognizable names to Heritage readers include, William W. Menzies, Frank D. Macchia, Wonsuk Ma, David G. Clark, Maximo Rossi, Jr., Don Meyer, Vinson Synan, and Allan Anderson. The work differs from most other books on the Pentecostal experience, writes Spittler, in his foreword, in that it includes pastoral counseling and practical advice for those seeking the baptism in the Holy Spirit. Verna M. Linzey has ministered worldwide for more than 50 years. 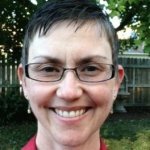 She is also the author of the hymn, “O Blessed Jesus.” She is the [widow] of retired U.S. Navy chaplain, Bible teacher, and author, Stanford E. Linzey, Jr. This review originally appeared in the Summer 2004 issue of Assemblies of God Heritage and is used with permission. About the Author: Wayne E. Warner is the retired director of the Flower Pentecostal Heritage Center (Assemblies of God) in Springfield, Missouri and is the founding editor of the Assemblies of God Heritage. He directed the center for 25 years during which time the museum and new offices were built. 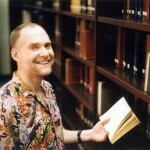 Prior to his role at the archives, he was book editor for the Gospel Publishing House for 12 years. Prior to that part of his life, he served as a pastor with the Open Bible Churches. 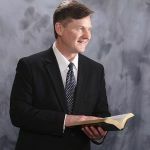 He is the author, compiler, and contributor to numerous books including Good Morning, Lord: Devotions for Servicemen (Baker, 1971), Touched by the Fire (Logos, 1978), Maria Woodworth-Etter, For Such a Time as This (Bridge-Logos, 2004), Smith Wigglesworth’s The Anointing of His Spirit (Chosen, 2003), Kathryn Kuhlman: The Woman Behind the Miracles (Servant, 1993), and The Essential Smith Wigglesworth (Vine, 1999).